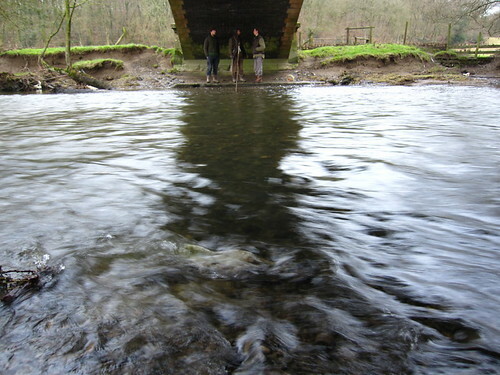 Running from the Elan Valley to Birmingham, there is a waterway wrapped in stone. 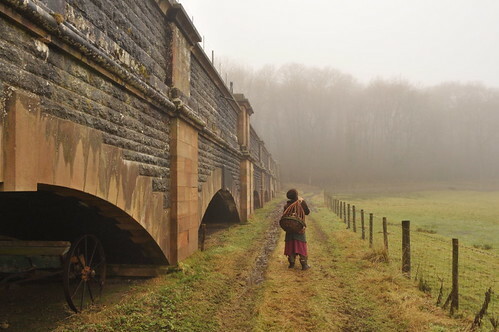 It is the Victorian built water-piping system, called the Elan Aquaduct, that runs from the Elan reservoirs in Wales, to Birmingham’s Frankley reservoir. The water takes a day and a half to make its way, and there are no pumping stations to enforce the journey. Instead, the water travels solely by the irrestistible agency of Gravity. 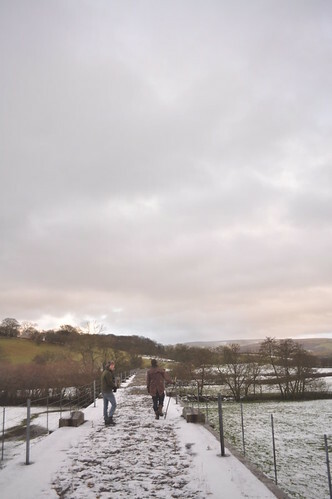 Although there are hills and valleys aplenty between Elan (Cymru) and Frankley (Brum), stubborn Victorian industrial intelligence designed a very slightly downhill journey for the water to follow, for all 73 miles. It goes downhill by a tiny fraction, but it is precise and constant, and so it works. Running out the back of our winter woods, a segment of the Elan aquaduct stretched across the mini valley, and disappeared into the opposite hillside. We found the aquaduct’s arches, where they crossed the river Ithon, were a brilliant place to rest awhile, being a guaranteed shelter from winds and rain. 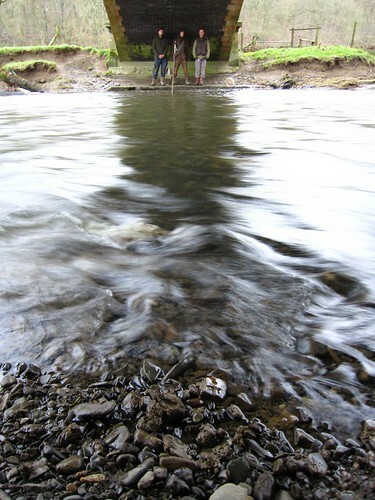 But they also acted as an intense echo chamber, in which the water itself echoed marvellously, and voices would travel and bounce around the curved stone in strange exciting ways. This was obviously a pretty big thrill for us, this winter. It was nice to get out the woods, sometimes, and get a change of elements. We also liked the idea that there was water flowing constantly above our heads, and before our feet, while we were dry between. 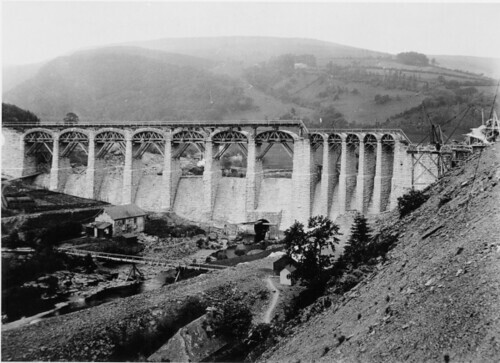 The aquaduct was built 100 years ago, and we doubt whether the capacity to replicate it still exists. We have out-progressed such a simple, enduring technology. Today we have plastic tubes and pumping engines, which are much cheaper, and easy to replace, when they break. 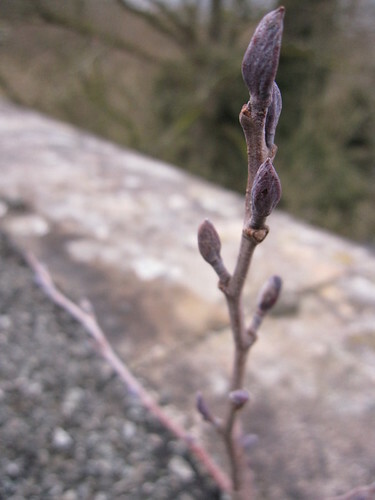 The reservoir is celebrated as a wildlife reserve, and a feat of tremendous engineering heritage. 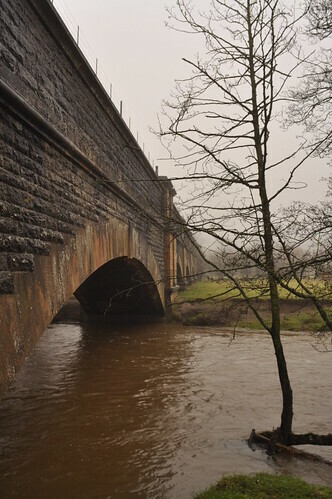 With so much going right for it, it can be easy to forget that this aquaduct, now so fitting a monument to the ambition and achievement of the Victorian Age, was probably a dreadful eyesore, and an environmental catastrophe when it was built. 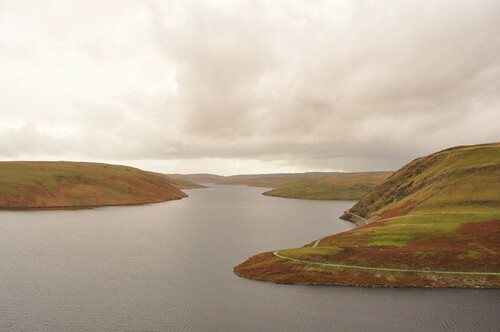 The reservoirs were once, after all, beautiful rich and damp valleys, with schools, memories, bio-diversity, and distinct cultural identity. And now they’re underwater. 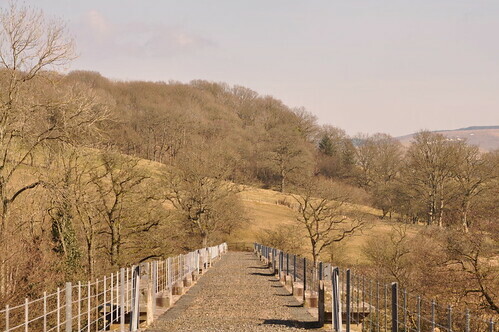 And the stone aquaduct, which has blended into the landscape, and which we enjoyed so much, was the cause of a massive quarrying industry in the Welsh hills. And an entire railway line was built for the project (since dismantled), to transport labour and materials. There was also a huge wooden village built to house the labour-force, so local woodlands doubtless took the brunt of this demand. 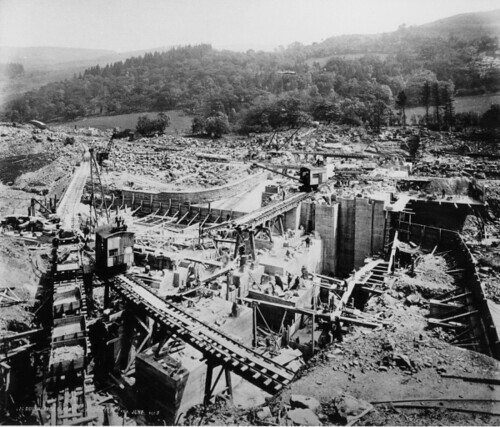 One local story we heard, went like this: the quarries, to provide the aquaduct stonework, were dug and funded by Birmingham City water board, and once the building work was all done, and the water flowing, all the Birmingham people went back home. So the farmers, whose land the quarries sat on, guarded those quarries, and watched, and waited. No-one was willing to presume ownership, or take stone, but nor were they going to let someone else do the same. They watched their little quarries, and waited for water board to get in touch. The situation stayed like this for a generation. And 50 years later, those farmers and families slowly started using the stone, and took possession of a very good source of quality stone for their tracks and out-buildings. 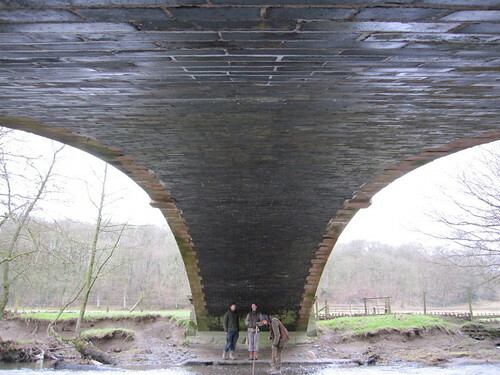 When Ginger came to visit us in the woods this winter, we recorded a few songs, and jams, under the stone arches of the Elan Aquaduct. Here they are. Please do not be alarmed by occasional gusts of wind overwhelming our sound-recorder. It all comes right in the end.